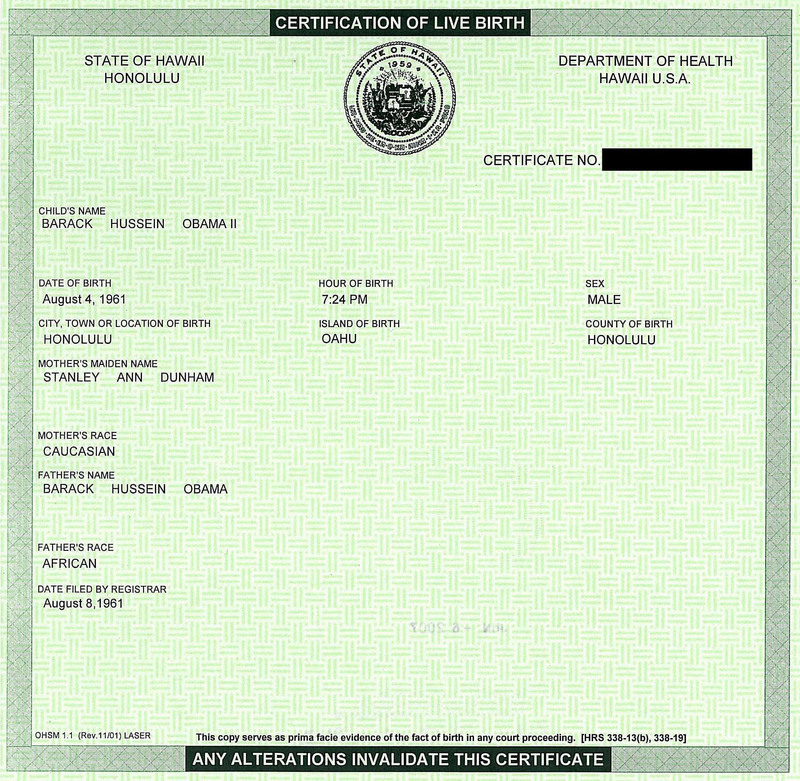 (CNN) - President Obama released his original birth certificate Wednesday, saying the controversy surrounding the issue had become a "sideshow." “We do not have time for this kind of silliness. We’ve got better stuff to do," said Obama. Responding to the development, Trump said, "I have accomplished something nobody else has accomplished." "I want to look at it, but I hope it’s true," he told reporters in New Hampshire. "He should have done it a long time ago. I am really honored to have played such a big role in hopefully getting rid of this issue." In an interview with CNN's Anderson Cooper Monday, Trump repeated his doubts and said he had been told the certificate was "missing." 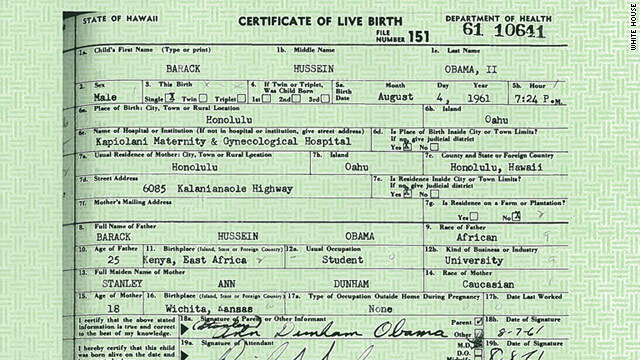 A new CNN investigation revealed earlier this week what most analysts have been saying since the "birther" controversy erupted during the 2008 presidential campaign: Obama was born in Hawaii on August 4, 1961. While the president has made light of the controversy, the question remained political red meat for some of his critics. A recent CNN/Opinion Research Corp. poll showed that nearly 75% of Americans believe Obama was definitely or probably born in the United States. More than four in 10 Republicans, however, believe he probably or definitely was not born in America. Skeptics contend, among other things, that Obama was born in his father's home country of Kenya. I had to provide my birth certificate to enlist in the U.S. Coast Guard and more information to obtain my TS clearance. The role of President of the United States is far above what I was doing .... how can people honestly think it's just a popularity contest. So, you lefties wouldn't storm about if Arnold put his name on the Presidential ballot???? Turn off American Idol and read the Constitution you leftie twits....there' is a difference. Trump is a man of action....That's what this country needs..About time Obama released it. Obama's original birth name WAS Barry Sotero and it wasn't until his mother married the Muslim that he was given a Muslim name, so why now all the sudden is a birth certificate available with the Barack Hussein Obama name WHEN HIS LAST NAME WAS NOT OBAMA?? AND IF it wasn't a big deal until Trump got involved, why didn't Obama just release it in the first place a long time ago? THINK PEOPLE – use your brain – Even a car dealership can make an invoice the way they want. Why should anyone doubt that his birth certificate is real. Surely not because he was a high ranking member of ACORN before he ran for president. You know ACORN, the group that specialized in creating flase documents so they could have thousands of illegal votes for you know who. And if this document is real, why did it take three years to PRODUCE it for the public and his moron followers?